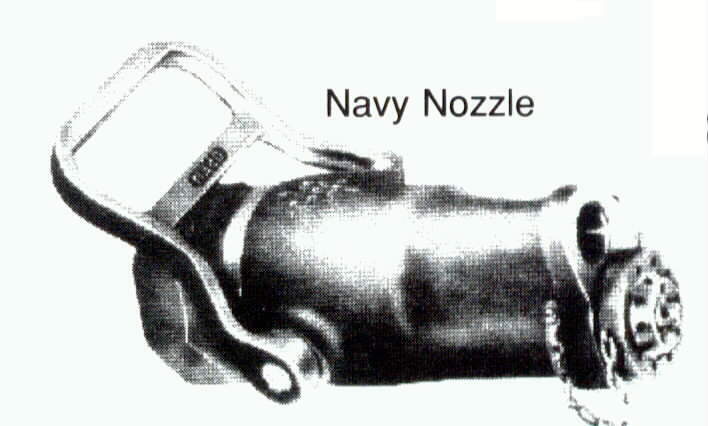 Combination fog and straight stream nozzles for shipboard firefighting, using water drafted over the side. 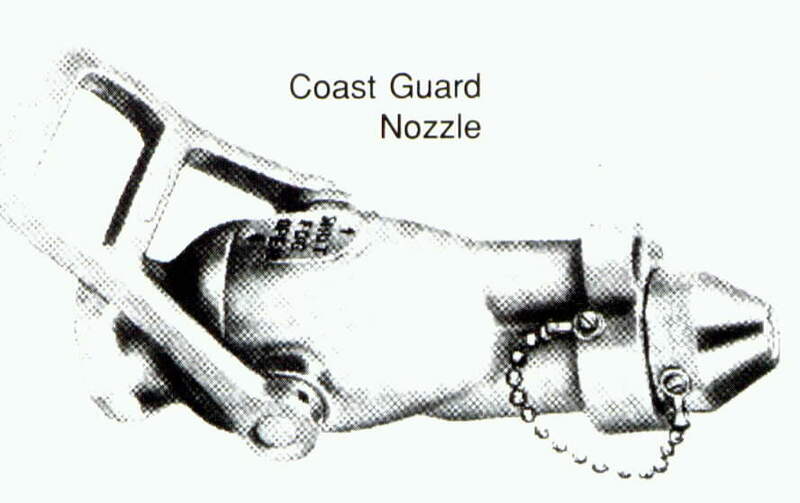 Coast Guard nozzles are required for all vessels under United States registry. Fog tip included with each nozzle. Additional fog tips available - tips are shown on this page. Tip PART Numbers are shown below. 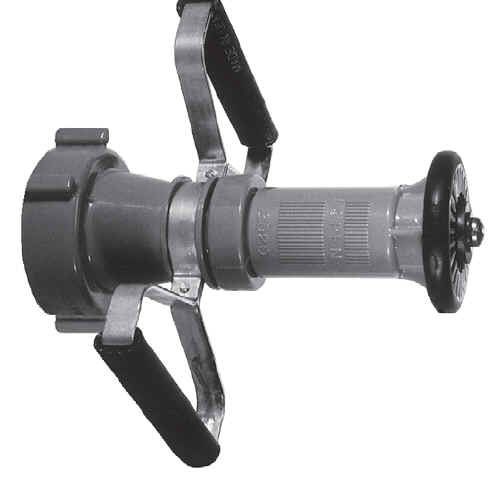 Coast Guard nozzles are furnished with NST thread; Navy nozzles with Navy thread. Size: 1 1/2" and 2 1/2" NST threads. Type: Allows instant adjustment of water flow from straight stream to fog. Jacket: 100% Polyester to eliminate rot. Test: 300# Underwriters Laboratories to U.S. Coast Guard regulations. Sizes: 1 1/2" and 2 1/2"
Lengths: 50 ft., 75 ft., 100 ft.
Couplings: Brass NST expansion ring. 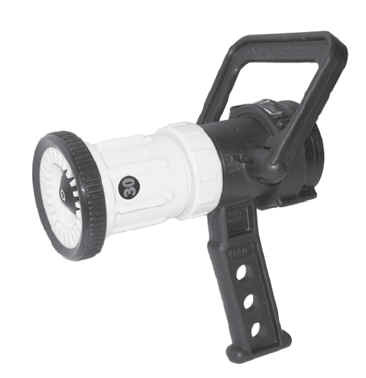 Storz type available. 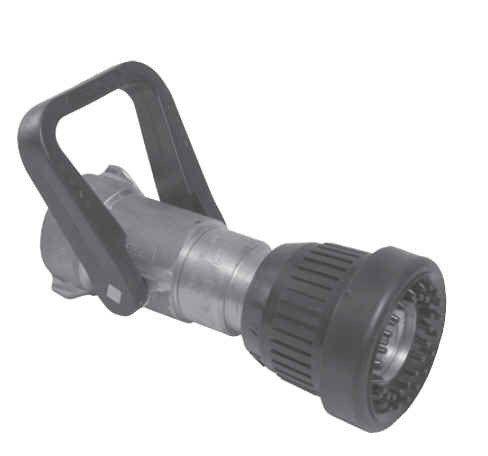 For rubber soft suction fire hose. 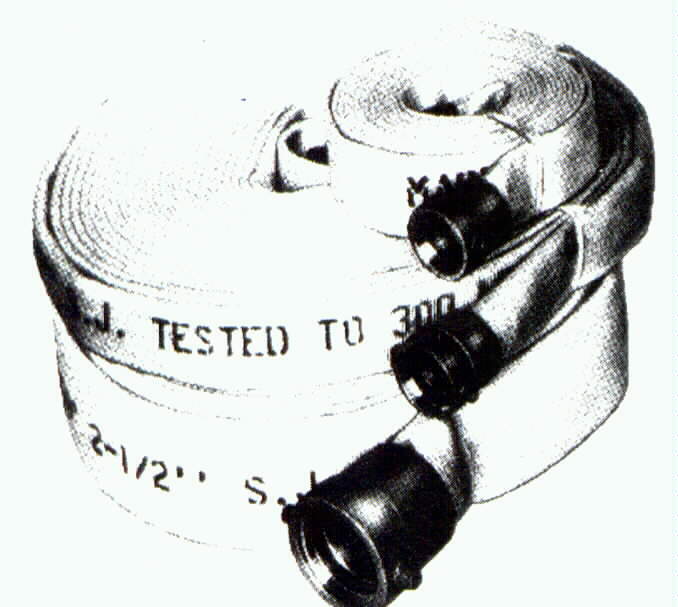 Collar segments are held in place with allen screws. These should be properly tightened and checked annually.